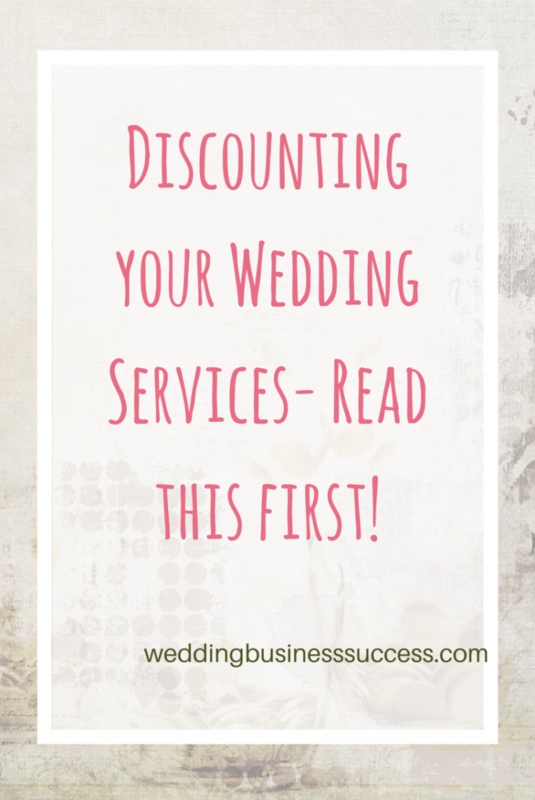 Discounting your Wedding Services? Read this first! Discount – it’s a dirty word for small business owners. But it’s one that most of us hear every week. When I ran my wedding stationery supplies business it was a frequent question. From “do you offer discounts for military personnel?” to “is that your best price?”. “No” and “Yes” were our standard answers! 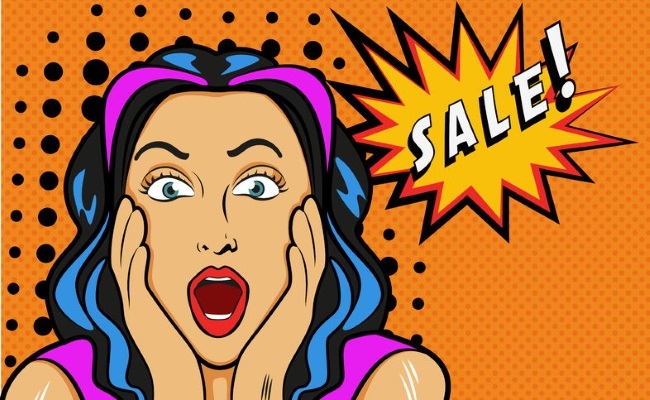 Just about every business coach will tell you that discounts are a bad idea. They undermine your value, often attract the wrong kind of client and, of course, reduce your profits. That 10% discount on the customer price means you are taking a much bigger hit on your earnings. Let’s keep it simple. Say your usual price is £200. Materials cost £60 and your overheads are £20. So normally you make £120 for your time and profits. Reduce the price by 10% so the customer pays £180. But the costs stay the same and you are left with just £100 – the discount comes straight out of your pocket and your income is reduced by 17%. If your margins are tight you can quickly end up making a loss. And there’s the effect on your motivation and service levels. Who wants to work just as hard for less? You may not be conscious of it, but will you really go the extra mile for the client who is paying you less than you are worth? But discounts needn’t be all bad. People love to think they are getting a bargain and being creative with pricing is an important tool for any business owner. As long as you take a strategic approach rather than responding to an ad-hoc request. When is a discount not a discount? You can probably all think of stores where everything seems to be on special offer all the time (in the UK a certain sofa retailer springs to mind!). Hardly anyone pays full price so all they are really doing is creating the illusion of a discount. 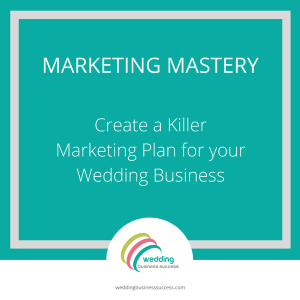 The approach may work for some, but think very carefully before adopting it in your wedding business. Are bargain hunters really the type of client you want to attract? Offering a lesser product or service at a reduced price is another way you can persuade the price conscious buyers (if you want them). This can work well for service providers like photographers – especially if you are in the early days of your business and need to build your portfolio. You don’t need to promote this option, but have it available if asked. If you are going to use discounts then it’s important to do this in a planned way that keeps you in control. And has a clear benefit to the business. For example to use spare capacity. Venues will often offer reduced prices for mid-week weddings. When I ran my stationery supplies business December was usually deathly quiet while January was manic. Rather than have my staff twiddling their thumbs one month and working lots of overtime the next, I would offer a discount in December. The other thing I used to run was Deal of the Week. This was usually a bundled offer (buy x get y half price) or a straight discount on old stock. But what it did give me was an excuse to email my contacts every week. And tell them about the full price stuff as well. The sales uplift more than covered the discount. So next time someone asks for a discount be prepared. My response was always “Sorry, we don’t offer discounts – we aim to provide the best possible price to all our customers”.